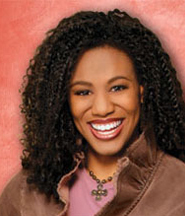 Priscilla Shirer is a Bible teacher and motivational speaker who wants women to know the truths of the Bible and experience them practically through the power of the Holy Spirit. Her enthusiasm is infectious, and it’s clear why her speaking ministry is so popular; almost every weekend Priscilla’s in a different state in America, speaking to a different group of women, sharing Scripture with them all. “I want women to feel God at work in their marriage, family, workplace, and heart,” she says.Priscilla has a Master’s degree in Biblical Studies from Dallas Theological Seminary, and has worked as a corporate trainer for the Zig Ziglar Corporation. She’s the author of four books for women – A Jewel in His Crown, And We Are Changed, and He Speaks to Me – and recently released a video teaching series, He Speaks to Me (LifeWay). Her fourth book Discerning the Voice of God is due out on March 1, 2007.She has hosted radio and television programmes in Chicago, San Francisco and Dallas and is currently co-hosting the programme Real Talk, Real Lives on the DayStar Network. Priscilla has also spoken at the Passionate Pursuit Conferences with Anne Graham Lotz, the National Women’s Ministry Association with John Maxwell, the Living Proof Ministries with Beth Moore, the Inspiring Women programmes with Terry Meeuwsen of the 700 Club, and at Deeper Still with Beth Moore and Kay Arthur, among others. Spunky, sassy, and thought provoking, Julie will challenge us to “fasten our seatbelts!” as she dispenses the antidote for remaining sane amidst life’s roller coaster ride of emotional, financial, physical, and spiritual, ups and downs. 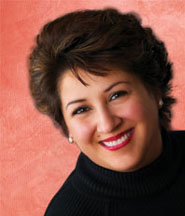 Her quirky style, hilarious delivery, and authentic confessions of her own struggles and defeats will have you glued to your seat!40+ million viewers saw Julie as a featured guest on Oprah in October 2002. The programme, Moms Who Lose Control, was so popular that it was re-aired twice. Her radio interview with Focus on the Family on the subject of motherhood and anger was named one of three “Best of the Best” programming selections of 2003. She has also appeared on NBC’s The Other Half, CBNC PowerLunch, CNN World News and Fox TV, among others.She is the author of the best-seller She’s Gonna Blow! Real Help for Moms Dealing with Anger, as well as ‘Til Debt Do Us Part, Scandalous Grace, Radical Forgiveness, Exquisite Hope, and her latest release Motherhood, The Guilt That Keeps on Giving.